Hindi nga ako makapaniwala kasi hindi pa naman tapos itong ginagawa natin but since we started, regular na chat namin, very generous magreply. 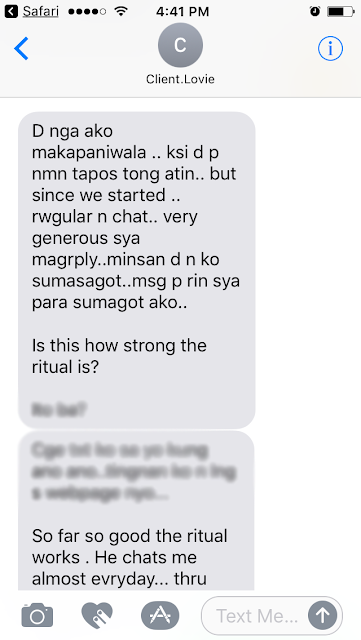 Minsan hindi na ako sumasagot pero nagme-message pa rin siya. Is this how strong the ritual is? So far, so good, the ritual works. He chats me almost everyday thru viber. 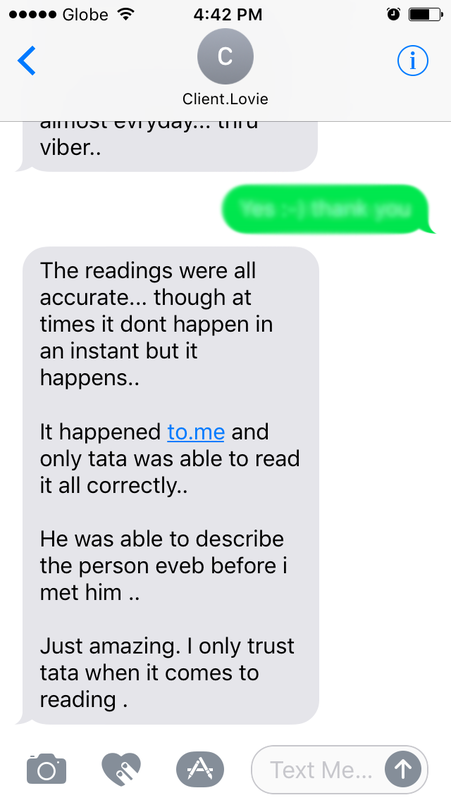 It happened to me and only Tata was able to read it all correctly. Tata was able to describe the person I love now even before I met him. Just amazing. I only trust Tata when it comes to reading.